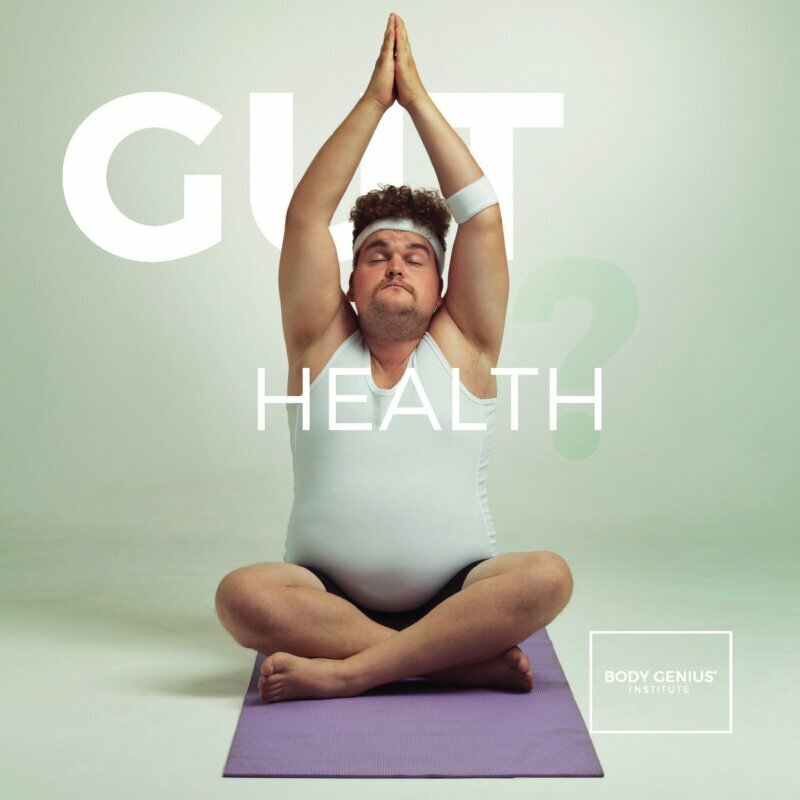 In Part 1 of this blog series on ‘The Human Gut’, we looked at basic gut physiology and how intricate the inner workings of the human gut really are. 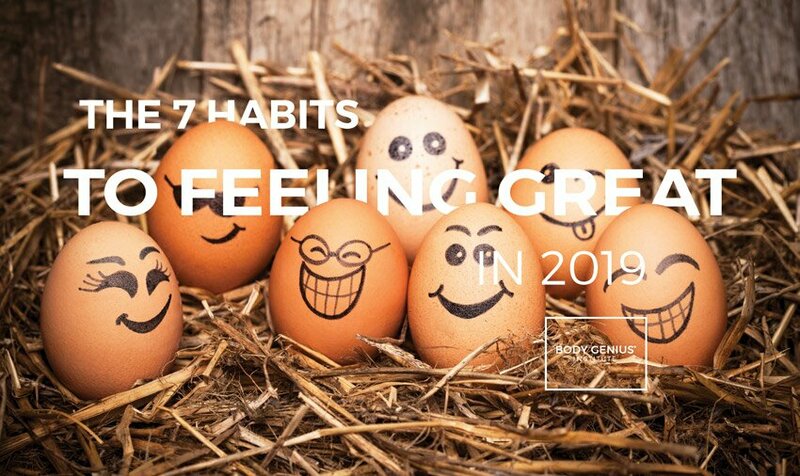 In Part 2 we will focus on ‘what can go wrong’ in the gastrointestinal system and the implications that this may have on your overall health, happiness and ability to live life to the fullest. These are just a few of the common misconceptions when it comes to understanding the GI system and how it affects overall health and wellness. This is an important part of the discussion because so many people are suffering from chronic symptoms that may be gut-related. It has been estimated that 70 million Americans suffer daily from some form of digestive issue such as heartburn, acid reflux, gastro-esophageal reflux disorder (GERD), irritable bowel syndrome (IBS), indigestion, constipation, diarrhoea, and/or abdominal pain.49 And, to relieve these symptoms, they turn to a wide range of medications including Tums®, Rolaids®, Zantac®, Tagamet®, or the more dangerous drugs such as Proton Pump Inhibitors (PPIs) Nexium®, Prevacid®, Prilosec®, and Protonics®. So, you can see why it’s so important to get an accurate diagnose and then get to the root cause of the problem so that the appropriate healing protocols can be followed. Simply covering up symptoms with medications is unlikely to have the desired outcome in the future and may have dire consequences. Did you know that there are 11 different systems in the human body? There are 78 different organs within the body and each organ belongs to one of eleven (11) body systems. These body systems are interconnected and dependent upon one another to function. Working together, these systems maintain homeostasis within the human body. Disease, even within a single system (such as the digestive system), can disrupt homeostasis and cause problems in other systems of the body. 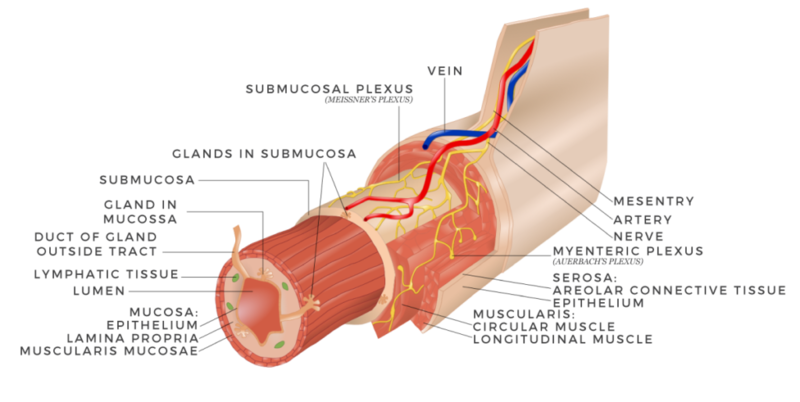 The intestine is the main organ involved in the uptake of nutrients, water and electrolytes from food. At the same time, it constitutes an essential barrier against harmful substances and pathogens from the external environment that may be ingested. Intestinal permeability – what is it? The intestinal wall offers a first line of defence and efficient barrier against many potentially harmful substances that may be ingested (bacterial, viral, and food borne). When working properly, it forms a tight barrier that controls what gets absorbed into the bloodstream. However, when these tight junctions don’t work properly, partially digested food, toxins, viruses, and bacteria may ‘leak’ into the bloodstream. The challenge is that when this occurs, it may trigger inflammation and changes in the gut flora (normal gut bacteria) that could then lead to problems within the digestive tract or in distant systems and organs. The scientific evidence is exploding with studies that demonstrate that changes in the intestinal bacteria and inflammation may play a role in the development of many chronic conditions. Some people may have a genetic predisposition to intestinal permeability and may be more sensitive to changes in the digestive system. One study found that high mucosal permeability (leaky gut) was associated with the presence of a CARD15 3020ins C mutation.5 These findings would indicate that genetic factors may be involved in impairment of intestinal barrier function. Certainly, greater scientific research is required to identify precisely how genetic factors (DNA) ‘weigh in’ on the pathogenesis of intestinal permeability. At this point it would appear that genetically encoded variants are not casual and may emphasize the importance of additional environmental factors that play a significant role. CAFOs and the exposure of animals to unhealthy conditions, low quality food, drugs and arsenic. Chemical ingredients in food such as artificial sweeteners, artificial preservatives, colourings, and flavourings. Abundant use of plasticizers such as bisphenol A in food and beverage containers and therefore human exposure to xenoestrogens and xenobiotics. It would appear that the modern lifestyle may actually be the main driver of gut inflammation. There is strong evidence to suggest that the ‘standard’ Western diet, heavy alcohol use, smoking, sedentary lifestyle and social and psychological influences such as stress, disrupt the delicate balance within the gut. Various drugs have been associated with the occurrence of intestinal permeability (leaky gut). Of those, proton pump inhibitors (PPIs) and non-steroidal anti-inflammatory drugs (NSAIDS) belong to the most prescribed medications worldwide, and are often used in combination. Industrial food additives have been investigated in relation to intestinal permeability. Commonly used food additives such as glucose, salt, emulsifiers, organic solvents, gluten, microbial transglutaminase, and nanoparticles all increase intestinal permeability by breaching the integrity of the tight junctions.23, 24, 25 In this manner, foreign immunogenic antigens gain entry into the bloodstream and may activate an autoimmune cascade. So, the question arises as to the role that gut inflammation and intestinal permeability plays in the pathogenesis of gastrointestinal illness and other diseases. We already know that intestinal permeability plays a role in certain gastrointestinal conditions such as celiac disease, Crohn’s disease, inflammatory bowel disease, and irritable bowel syndrome.30 The biggest question is whether or not intestinal permeability (leaky gut) may cause problems elsewhere in the body. 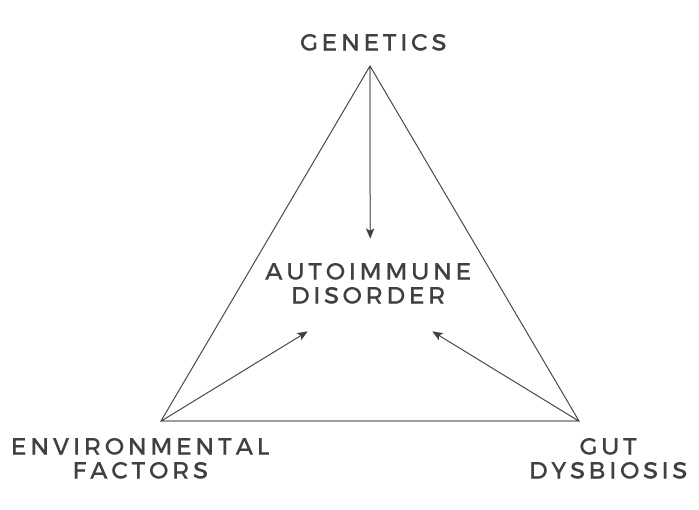 So, you can see from the evidence that genetic predisposition, environmental factors (including infections), gut dysbiosis, and intestinal permeability play major roles in the development of a multitude of diseases including autoimmune conditions. There are other factors that deserve a mention at this point for their (negative) impact on the proper functioning of the small intestine. Hypochlorhydria is a deficiency of hydrochloric acid in the stomach. Stomach secretions are made up of hydrochloric acid (HCL), enzymes, and a mucus coating that protects the lining of the stomach. 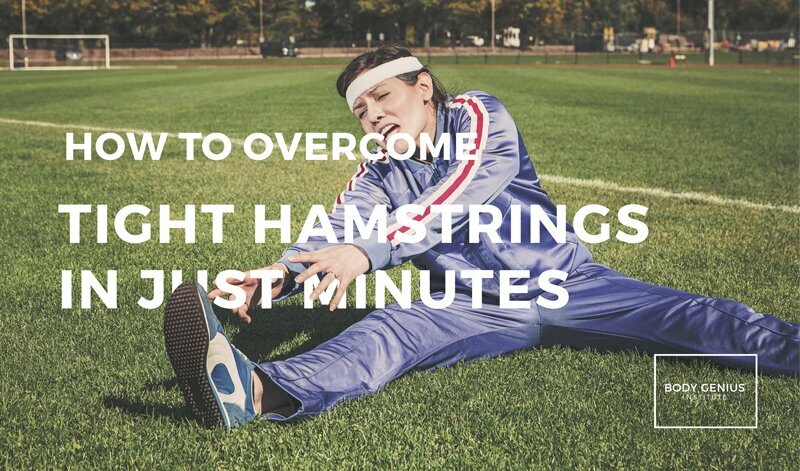 HCL helps your body to break down, digest and absorb nutrients such as proteins. It also eliminates bacteria and viruses that enter into the stomach, and in this way protects your body from infection. Low levels of HCL can have a profound impact on your body’s ability to properly digest and absorb nutrients. This condition can cause damage and create inflammation within the gastrointestinal (GI) system, lead to infections, and may contribute to a number of chronic health issues. As such, a skilled Functional Medicine practitioner should properly assess for, and consider the impact, that hypochlorhydria may be having on the proper functioning of your GI system. Low bile secretion can also play a significant role with certain problems within the small intestine. 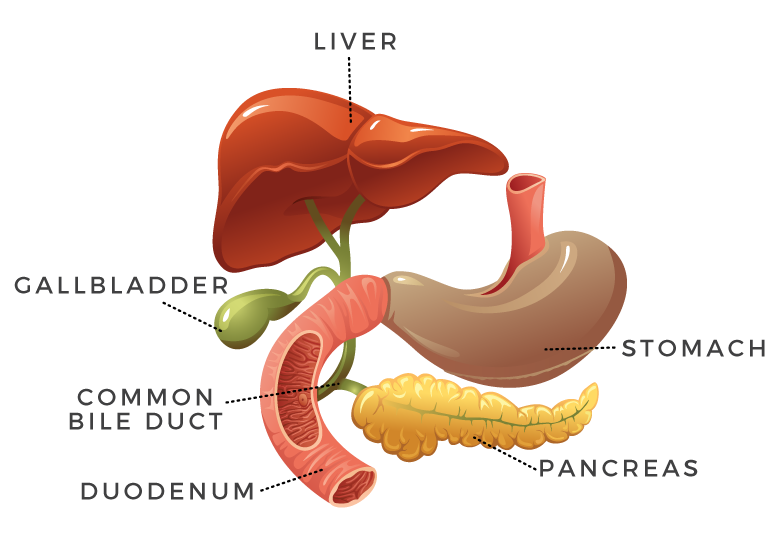 Bile is produced and secreted by the liver and consists mainly of bile salts, phospholipids, cholesterol, bilirubin, electrolytes and water.52 Bile flows from the liver into the gallbladder through the hepatic duct, where it is concentrated and stored. When stimulated by specific hormones, the gallbladder contracts, pushing bile into the small intestine. Low bile secretion can be a contributing factor for inflammation and disease within the GI system. Bile contains bile acids, which are critical for digestion and absorption of fats and fat-soluble vitamins in the small intestine. Likewise, many waste products are eliminated from the body by secretion into bile and elimination in faeces. It’s in this way that lack of bile secretion can have a significant impact and must be considered by your practitioner. Impaired enzyme production by the pancreas can be detrimental to the functioning of the small intestine and is an important cause of maldigestion and malabsorption.53 There are a range of health challenges that can arise from this condition including low level gut inflammation, giving rise for the need to evaluate pancreatic enzyme production in each patient. Small intestinal bacterial overgrowth (SIBO) is defined as excessive bacteria in the small intestine. With more accurate testing and better understanding of SIBO, it has become apparent that this disorder is more prevalent than previously thought.54 Patients with SIBO can vary in presentation, from being only mildly symptomatic to suffering from chronic diarrhoea, weight loss, and malabsorption. 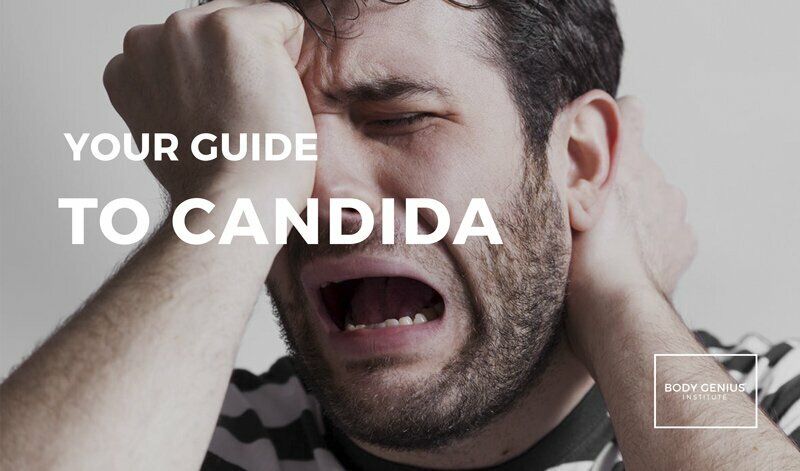 Candida is typically found in small amounts in the mouth, within the intestines and on the skin. At normal levels the fungus is not problematic. However, when candida begins to growth uncontrollably, it can cause an infection known as candidiasis. Candida (fungal) overgrowth is a very common condition, especially among patients suffering from autoimmune conditions. There are a wide-range of symptoms that can develop from digestive issues, fatigue, brain fog, recurring fungal infections, skin problems, to mood swings. 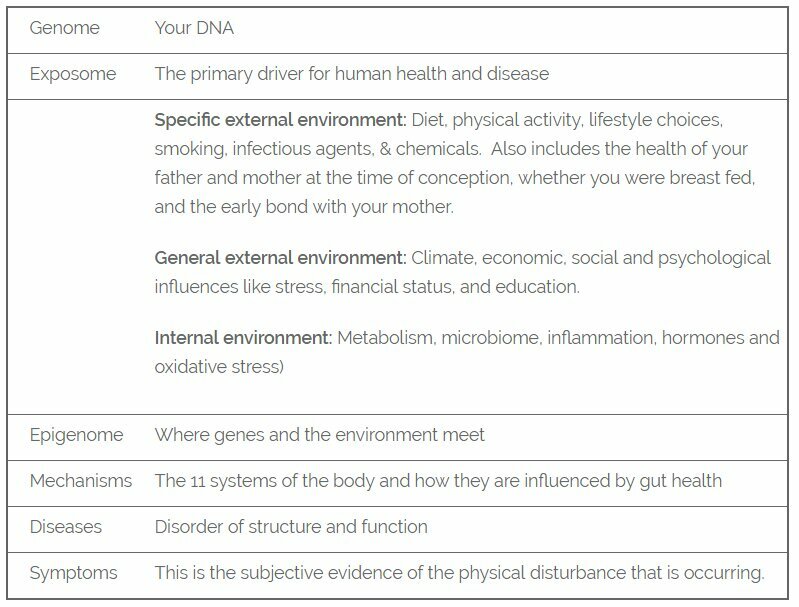 So, you can see from this discussion, that there are a range of other important factors that the skilled functional medicine practitioner must consider when interpreting the results of an intestinal permeability test. How to heal from intestinal permeability? Healing from any disease is unique to the individual, and healing from intestinal permeability is no different. It requires appropriate testing to be performed up front to identify the extent to which the gut is inflamed and determine your intestinal permeability score. Only through accurate testing and systematic analysis can a structured plan for healing be put in place. With that said, there are commonalties that exist in the healing pathway for most patients. At the Body Genius Institute, our Integrative Health Practitioners (IHP) use world-class, medical grade supplementation for all treatment protocols. This quality leads to a fast-tracking of the healing process and helps them to achieve superior results. The second part of the healing process is for the skilled practitioner to work with the patient to improve overall health through important lifestyle changes. At the Body Genius Institute, the Integrative Health practitioners will focus on the ‘Foundation Pillars’ of health when working with patients. For more information on our Integrative Health and Functional Medicine services or to book an appointment, simply click here. 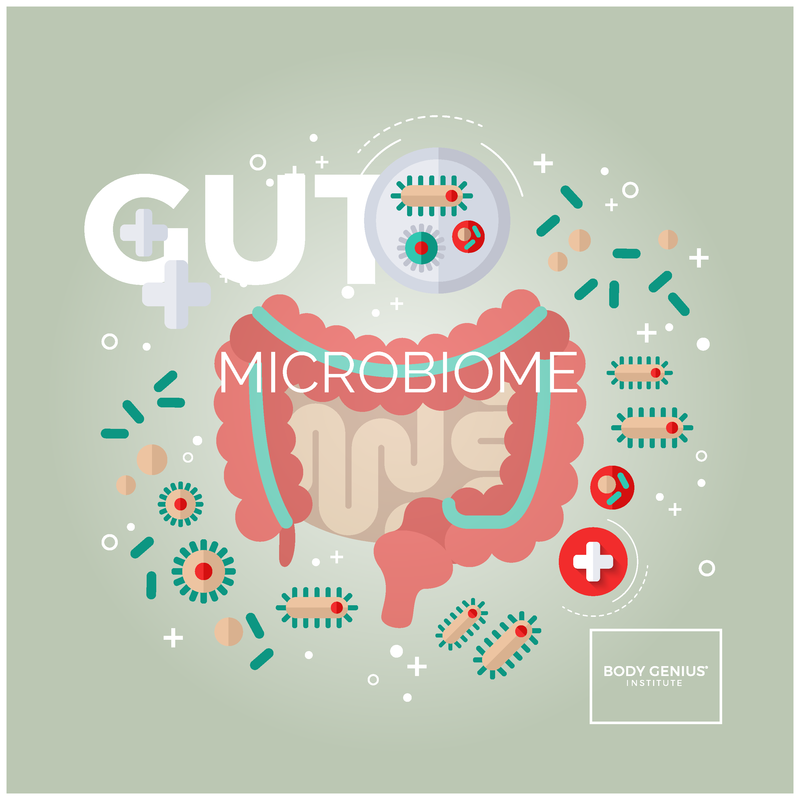 In Part 3 of this blog series on ‘The Human Gut’ we will investigate the fascinating topic of the gut microbiome and why it is so critical to human health and longevity.